FlowerAura is one such online gift portal from where you can buy the best flowers and infinite variety of nursery plants online. 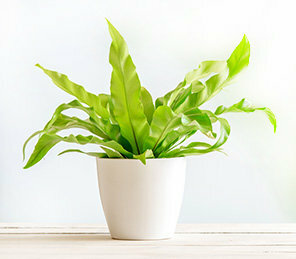 The houseplants available on our website are potted and are good air purifiers. Some of them are even flowering plants that can illuminate any corner of the house. We also have bedroom plants that attract positive vibes and ensure a serene atmosphere in the bedroom. For instance, if your friend or lover has just shifted to a new home then, you can send him or her a potted Peace Lily online through us as it brings good luck, money, prosperity in life. If you want to show your love and care to your parents make sure you order a Golden Pothos as a gift for father and mother as these are one of the best air-purifier plants. Other beautiful plants available on our website for you to order plants online are Moon Cactus, Sansevieria plant, pothos plant, Portulacaria afra, Crassula Ovata plant online, Peperomia plant, white Pothos etc. Buy these live plants online from FlowerAura and send these plants as gifts to your dad ones to convey your best fathers day gifts to them.